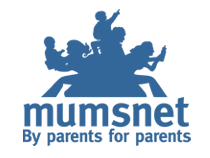 This week Mumsnet are getting behind the Saatchi Bill. Here is the blog post Lord Saatchi wrote for them. Read it here on Mumsnet. Sign-up here (http://eepurl.com/GcrZ9 ) to be the first to hear when the consultation launches. And click here to follow us on Twitter @SaatchiBill and Facebook so we are ready to respond. All cancer deaths are wasted deaths. For many forms of the disease no new treatments have been developed for decades, and treatments remain brutal, painful and often ineffective. But doctors are forced, by law, to offer only the standard treatments for cancer – or indeed any disease – even when the doctor knows that the patient is dying, and the standard treatment will not help. We need innovation; we need to try new treatments where the old ones are known to lead only to death. But doctors are hampered by the courts: if doctors don’t follow the standard procedure they could be sued – a risk most are not willing to take. The NHS predicts it will face a bill of up to £24 billion for legal cases in the coming years. And the figure is rising. And of course, when a doctor is sued – even if they win their case – the stress, isolation and fear they go through can wreck their careers and their lives. This is why most doctors will not offer you anything other than the standard treatment – even if they know it won’t be efficacious. It’s the only safe course for them, legally, and so they are doomed to repeat an endless cycle of failure. And by this maddening repetition, nothing is gained, nothing new is learned, no lives can be saved the next time round. This is why I say cancer deaths are wasted deaths: when a patient dies of cancer, medical science is not advanced one inch. No other cancer patient, now or in the future, will benefit and no lessons will be learned that will improve treatments for others. But we can change this: we are on the brink of a great medical moment. I have introduced a Bill into the House of Lords that will, if it becomes law, protect doctors who want to try something new, who do not want to watch their patients dies needlessly. The Saatchi Bill is about creating a movement of patients, like you, to change the law which stops doctors innovating and trying new treatments. First, it means doctors will be protected if they innovate reasonably and carefully. To do so they must of course have patient consent and the agreement of other senior medical experts and practitioners. They cannot go it alone. But if they get this consent, reasonably and carefully and if the patient wants them to, they can then innovate safe in the knowledge their lives and livelihoods will not be in jeopardy if the treatment fails. Second, it will also stop maverick doctors from experimenting, recklessly, on patients. It will, in fact, tighten the law making it much harder for doctors to carry out untested treatments unreasonably. This Bill is a patients’ bill – it is for you and me. With it we can go to our doctors and say: “Have you tried everything? I understand there is a treatment out there that might help – can you try it on me? I have nothing to lose.” And the doctor, for the first time ever, will be able to say yes. But we are not there yet. The Secretary of State for Health, @Jeremy_Hunt says he will support the Bill and ensure it becomes law in the next session of Parliament – but only if the public want it and show that they want it, clearly and loudly. In February the Department of Health is launching a public consultation asking if doctors, lawyers and if you – patients and public – support the bill. We have one shot at it, and one shot only. If we fail, there is no second chance. I ask you to support the Bill, to respond to the consultation and to ask your doctor, your MP and your friends and families to support it too. And do tell us what you think. Have you wanted different treatment but couldn’t get it? And would you like to see the Bill become law? We’d love to hear from you.